This is a pretty awesome Fan Art Friday, if I do say so myself. User-generated content is all the rage, and today we’ve got two great pieces of fan art made with other games! This Peacock made in Graffiti Kingdom by Japanese fan Tatrobo is approximately the coolest thing ever. Wait, no! These Sackgirls by Pyroquinfran are the best things ever! Argh, I just can’t decide! Be sure to follow the link, BTW, for even more great pics. This action shot by Scamwich is awesome, even though it was made with boring old things like… colors and lines. 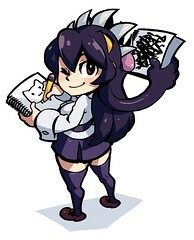 Not sure why this was labeled “Skullgirls?” I think this is just an OC created by Bespuni, but it’s pretty awesome nonetheless. That Graffiti Kingdom Peacock is friggin’ nuts. There is no need to pretend you do not know who the maid character actually is. She even appears in the game’s debut trailer, for Christ’s sake! Huh… well, I’ll be. Guess I never noticed that! Someone beat me to the LBP outfits!! I’ll do then anyway, I really wanna play using a cute Peacock. I can’t decide who’s cuter, Peacock or Avery. 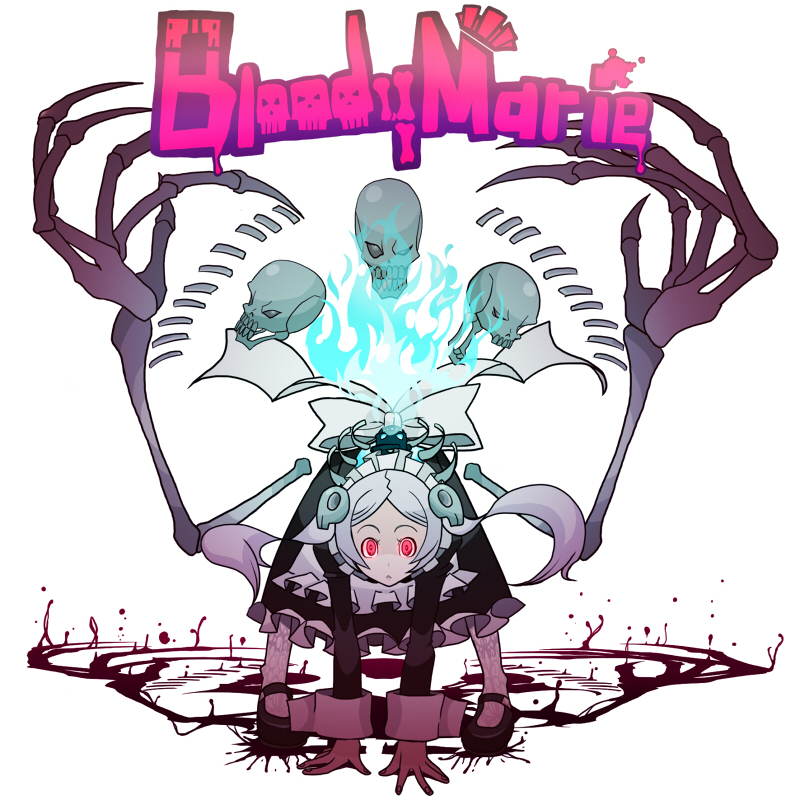 That Bloody Marie art is awesome! She’s so cool it even seems like she belongs to the cast…! Oh you guys and your teasing at characters you haven’t revealed yet.